Home Blog Posts Why Do Many Delay Seeking Hair Loss Help? As many of my patients will appreciate, I am deeply intrigued by the psychology of hair loss and its effects on mental wellbeing, confidence and self-esteem. Listening to their lived experience and the underlying emotions form an integral part of the diagnosis during the consultation stage. Before I identify problems of hair loss and begin to fix it, I start by hearing and acknowledging the anxiety and distress they have been through. I often find that people hesitate for a long period before they take that crucial first step of getting in touch with me. I see a pattern emerging. They tend to wait and procrastinate long after either reading an article by me or having been recommended by family/friends to see a trichologist. 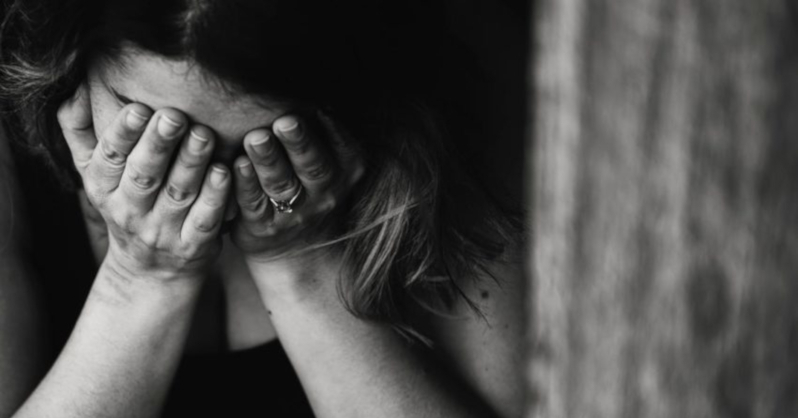 They are often unaware of how this condition may be affecting their mental health in the long term, and if not managed, may even lead to depression- especially among women. This, of course, is directly linked to the perception of femininity synonymous in many cultures, to beautifully luscious hair. Hair loss in women can, therefore, lead to far more damaging effects. Ignoring the problem – A patient may avoid looking in the mirror and try not to sit under strong lights. In this case, the thinking is – ‘maybe I am imagining this or it’s not so bad’ or perhaps just wait till the situation improves by itself. Another common thing I encounter is the profusion of hair-loss products that have evidently not worked – shampoos, treatment creams and vitamins people get when they come to see me. I notice that the money people are prepared to spend on these quick fixes is definitively growing. Perhaps it is the result of effective marketing which only builds up long term hopes and expectations of the customer, so they continue buying even when they don’t see improvement. Fear of the unknown – Some patients worry that seeing a trichologist could end up being very expensive and time-consuming. However, in reality, most patients leave from here feeling reassured and fully supported. Along with the treatment for the hair condition, they usually also find a remarkable relief in the anxiety and stress silently endured. And I do believe, this plays a big part in the recovery process. Despair – Another concern that I hear is creeping despair- ‘maybe nothing can be done’ or that ‘perhaps it’s just part of getting older’. Neither of these statements is true. I have never diagnosed ‘age’ as a problem, and everyone who comes to see me can be helped in some way. On occasion, it may be managing expectations. For others, the direction of the treatment is merely improving the condition of the hair and addressing the causes of damage. But most of my patients have a true hair loss or reduction in density which is upsetting but can most certainly be controlled with the correct diagnosis and treatment. Hair loss is NOT irreversible. Dismissive attitude by GP – Unfortunately, NHS funding does not cover trichology, therefore there truly is little they are allowed to do. You may come across a sympathetic Doctor who will try to help by running some blood tests, but many others could make patients feel that their complaint is not valid, and the only solution is acceptance of their condition. As hair loss can be acutely upsetting and can impact on a person’s self-confidence, validating their lived experience should be a significant part of the consultation. A referral can then be made, as many do, to myself or another member of The Institute of Trichologists. Genetic causes – The genetic thinning condition, Androgen Dependant Alopecia affects 25% of people. Many patients with this condition are aware of their family history. It is at this point when one of the symptoms have been confirmed or adjusted that treatment can be discussed. In all cases, I try to educate and gently guide my patients to feel confident to treat their condition at home by themselves. Typically, I see patients after a couple of months and then only annually unless any concerns arise. I urge all those who find themselves in one or more of the above situation to not give up. There is never a reason to just accept the deterioration of the condition of your hair. If it concerns you, then please seek help. I realised that I was losing my hair when one day, I stopped and noticed just how much of it was coming out whilst I was washing it. I put it down to approaching menopause, a bit of stress and a busy lifestyle and tried to forget about it. However, as the months turned to years I could no longer ignore the problem and I became increasingly worried as my hair continued to fall out and I became more and more self-conscious. I was worried that people were noticing that my once full head of hair was thinning and that my scalp was showing at the front. I became anxious and would find myself looking at other women’s hair comparing their hair density to mine and avoided having my picture taken. I felt vulnerable and that my femininity was under attack… women aren’t supposed to lose their hair! My worst fear was that I would become bald and I spent hours scouring the internet looking for a cure. Had WLS and have a twiddle habit so need help that is more intense than biotin please thanks. Please send the inquiry form to contact me directly. Alternatively, call 01444 448082 during the working hours to book an appointment. Thanks a lot for your comment.